Apple has officially cut the price of the HomePod around the world. Originally priced at $349 in the US, the HomePod now costs $299, while the UK price has come down from £319 to £279 on the Apple Store. Similarly, in Australia, the price has been reduced from AU$499 to AU$469, representing a price drop of around 15% worldwide. Although last year’s Black Friday and Cyber Monday saw some fantastic Apple HomePod deals from third party retailers, even dropping as low as $250 (around £190 / AU$350), 9to5Mac points out that “it’s quite rare for Apple to reduce the price of any of its products mid-cycle”. Is the Apple HomePod 2 on the horizon? One possible reason for the price drop is that Apple is gearing up to release the HomePod 2, its long awaited follow up to the Siri-powered smart speaker. However, with no mention of a new smart speaker at Apple’s most recent launch event in March, a late 2019 or even 2020 release is looking more likely than an Apple HomePod 2 release date coming in the next couple of months. 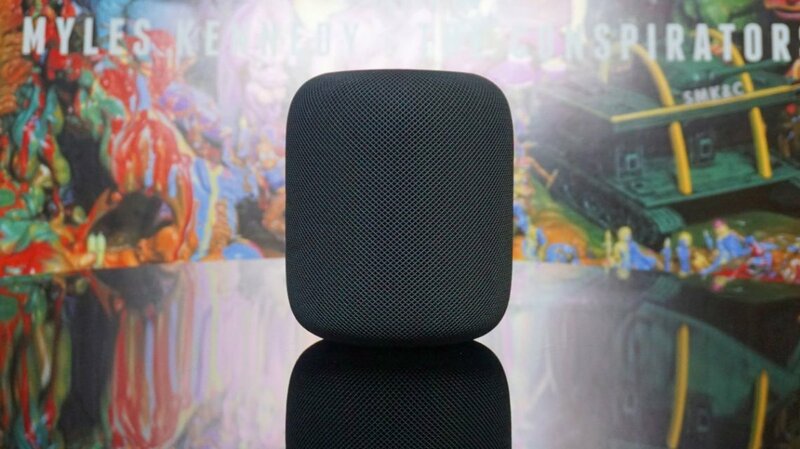 It has also been rumored that Apple is looking to release a HomePod Mini, in a similar vein to the Google Home Mini and the Amazon Echo Dot – and based on the success of those miniature smart speakers, it would make sense for Apple to follow suit. It’s also possible that Apple has slashed the price as a result of disappointing HomePod sales in the face of strong competition from Amazon and Google. Even with the new lower price, the Apple HomePod is one of the most expensive smart speakers you can buy, and while we were impressed by its powerful sound, it isn’t as adept at controlling your smart home as the far cheaper Amazon Echo or Google Home. Still, if you were looking to buy a new Apple HomePod anyway, the price drop means you can now get it for less than $300 direct from Apple’s own store – and that’s got to be a good thing.